MyLot is a brilliant site where we can share many things such as our lives, music, nature, places and many other topics We learn so much from each other globally. May it never stop. What do you like to share on myLot? 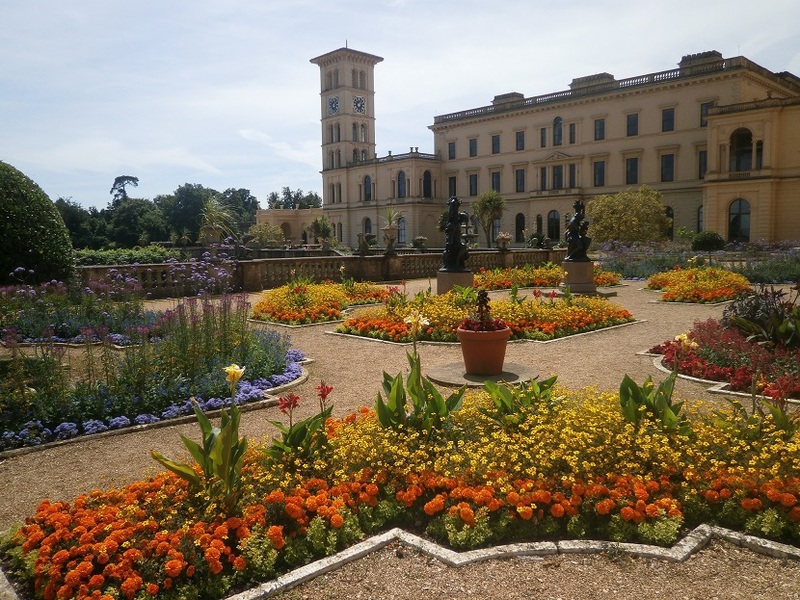 The photo is of the gardens in Osborne House on the Isle of Wight. This was one of Queen Victoria's homes. Although I am easily amused this Queen was not! You are a real wordsmith. I like to share curious things, facts, local customs, also a little bit of my life. MyLot is an incredible site, you can write what you like. The list of things to write about is endless, I have visited a huge variety of discussions during the past few days. @Gillygirl I visit plenty of discussions every day, some are very good. @LadyDuck There were some very good ones here yesterday. I was spoilt for choice. Other times I may go back to older discussions to see if I get a response. @Gillygirl I like to share things about my country and our holidays and my cat. Those are the kind of things I am interested in too Hanni. @Gillygirl So we are in agreement on what we like to share here. @Hannihar Yes and of course there are still a wide range of topics that people like to share. Is that house open for touring? Yes it is John. I enjoyed the tour of the house and the gardens too. That is a beautiful photo. I love learning things and seeing photo from other countries and learning what other traditions are practised around the world. And how they differ from people from those countries to the practises of those natives living here. What I don't like are the acronyms that members use that only those who are local to them understand-that strikes me as a private post that others aren't really invited to as they won't understand it. And.....did you know......that when we put a photo up apparently part of the information stored with that photo include the latitude and longitude co-ordinates so that the exact location can be found easily? I saw that on a segment of the news recently and found it somewhat interesting. Thank you Julia. I don't think I've come across posts that are only meant to be for a few. I like learning about history and the geography of a country. It is amazing that the metadata on a photo can give so much information. I wouldn't know how to obtain that information though. What I enjoy sharing varies. I can be a very open person, and yet I can also be very closed off. I think one of my favorite things to share is my love of reading. I vary too. I like your discussions about British history. I get to learn things I didn't know. @Gillygirl I was just thinking that I haven't done one of those in a long while. I just haven't had the interest in awhile. I still follow facebook pages dedicated to the history, but I just haven't perused them in awhile. I have been watching videos about how people got dressed in various time periods. That and a few youtubers who sew costumes based off of patterns from the Edwardian and Victorian eras have consumed my time lately. @ScribbledAdNauseum I've seen some of those on YouTube too. It kind of changes with me from day to day. It can with me too Sharon. I sometimes get an idea for a discussion and then find someone has had the same idea within days. @Gillygirl me too. Sometimes what I share can even change within a few hours. That happened to me today. @simone10 Yes I did read your post about the doctors appointment. Very frustrating! I leant about the elections you will be having soon in your country. I wouldn't get that information on the news here in the UK. @Gillygirl yes and it's coming this may our elections for senators and mayor. Really? @resukill22 I hope you get the people you want elected. That's a beautiful picture of her home and gardens. I like to share what's going on in my life. Especially the exciting stuff. Most of the time it's not so exciting. I lead a boring life. @Gillygirl Yes, and the ongoing saga of my car has finally been laid to rest. It's fixed and I'll be going to the pool tomorrow. @just4him Yay!!! I did read your post where you said you were getting it back. Mylot is a great pplace for sharing things, I agree. I share a lot of personal happenings, past and present. Also poems. I enjoy your poems Janet as they always have a story within them. I find some past and present experiences interesting. @jaboUK You are welcome Janet. I share so much here - my gardening experience, the parties I throw, my cooking ventures, my pets and all this with photographs. You do have a variety of posts Grace. Is that a photo of a children's party? @Gillygirl Just picked a photo at random. Yes. 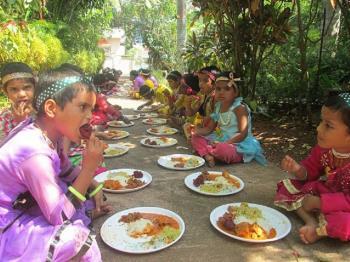 They are in the garden enjoying their lunch. @allknowing They are little cuties. I like writing about science, computer, artificial intelligence, robots and interesting theories connected with those things. I'm not an expert but I find writing makes me learn more and I enjoy it. What would one do with all those rooms? It helps your own understanding which is good and gives you the opportunity to share. Victoria had a large family with loads of servants. However she was never a one to be amused. @Gillygirl I can only imagine what it might be like to employ people in my dwelling. Would it be like one big family only not a close one? Sounds like Queen Victoria was not a happy person? Was it the responsibility? But she had children to be content with. @mynameiskate She had the whole of the British Empire to contend with. She also had many servants to look after her nine children. Usually whatever I am thinking at the time. I sometimes post about something that has just popped into my head. I like your posts about the critters. What a beautiful garden! Generally I just like to chat about everyday things. I do learn so much here especially that no matter where we live we have more in common than our differences. The gardens and house were well worth a visit. I am currently learning a lot more about the history and geography of the USA as well as chatting about everyday things. Did you watch the Game of Thrones. hello Mr Riz - Yes I see you have already shared your taste in actors with us. I would like to see more by you. I do use an idea that suddenly pops into my head at times. Other times I may base a discussion on past experiences. i share whatever comes to mind at the moment before i write them. That can be the case with me too. I think, I just shared live and some food. I shall look for that later. Have to rush out now. I like flower posts too. I also like to discuss funny things at times and serious things too. That's the beauty of myLot, we have a good choice. @LowRiderX I don't go near any darker topics. I like to relax and enjoy my time on here. Especially with people I can really relate to. I'd like to share my cookies, but I haven't figured out yet how to transport food through the internet yet. But I'm working on it! In the meantime, I'll just write about whatever random thought comes in my head. I'd like you to share your cookies too Jeff. I do random stuff too as well as go off on a tangent in discussions sometimes. @Gillygirl What kind of cookies would you like me to share Gill?